In 1995, the founders of American Retirement Homes started the first AmeriCare Plus Agency in Norfolk, VA. With extensive senior care knowledge, a need was seen for Virginia seniors to receive care in the comfort of their own homes. 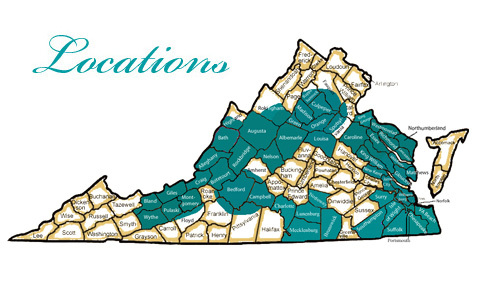 Today, that vision has expanded to 11 locations and virtually statewide coverage and custom service by design to Virginians of all ages. Our unique team of Certified Senior Advisors, Agency Managers, Staff Coordinators, and Registered Nurses work with you to assess your needs and deliver a service plan that is custom by design, not a prefit schedule block. We understand your needs may vary and custom by design service can accommodate you. No matter what you need, our services are custom designed for every aspect of daily living needs. Our specialized team will assist you in establishing your care/service options and schedule on a short-term respite basis, long-term, or 24 hours around the clock care. AmeriCare Plus Service by Design is truly the heartprint of personal care. We believe the benefits of receiving care in one’s own home cannot be measured and should extend to everyone from expectant/new mothers, children, young adults, those recovering from illness/injury, seniors, to those who may just need a helping hand. We work in conjunction with Home Health, Hospice, Workers Compensation, and many other local and state organizations. Personal care or company aide lives in the home to ease daily life of the client and remove the work from the family. Shopping, meal preparation, supervision, transportation, light housekeeping, companionship are all part of the week for our stellar team of live-ins. Special program for assisted living and independent living communities whose residents may need a helping hand.